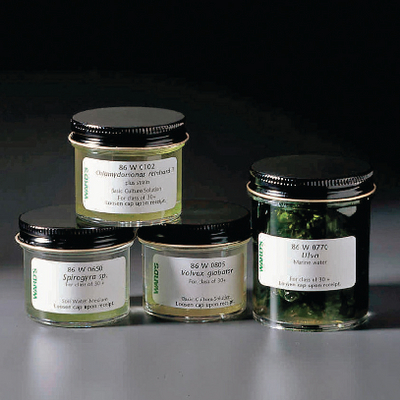 Ideal for comparative study, the four cultures included in this set represent green algae's variety of physical morphologies. You will receive 4 individual cultures to study individually allowing your students to study them individually to learn the various morphologies. Cultures include organisms from the following genera (species are not specified for these organisms): Chlamydomonas (a unicellular algae), Spirogyra (a filamentous algae), Ulva (a macro alga) and Volvox (a colonial algae).